A pre-finished white oak floor complements the river valley views from full-length windows. This fabulous house was designed by the owner. 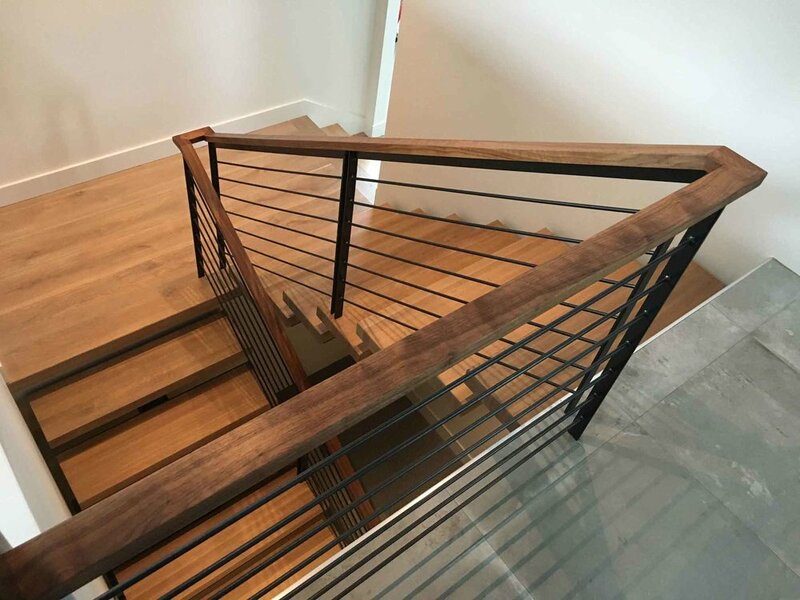 Other features made and installed by Perpetua include: the stairs which were stained to match the floor, a walnut handrail, a hanging bed, and a walnut slab sink.